LEXINGTON, Ky. (Oct. 5, 2012) — University of Kentucky Professor Nancy Grant Harrington, in the College of Communication and Information, has been named the first Douglas A. and Carole A. Boyd Professor in Communication. The professorship was established with a fund endowed by the Boyds in May 2011 to "enhance communication education through the examination of existing research coupled with the generation of new ideas, concepts, and research findings in the area of communication." The professorship is awarded to a tenured professor in the Department of Communication who has made outstanding contributions to scientific research and graduate education in the field. The recipient is chosen by a three-member selection committee to serve a three-year term. Douglas A. Boyd is a professor of communication who has served the university in several capacities since joining the faculty in 1987. A former dean of the college, Boyd also served as associate provost for international affairs and was chief of staff to former UK President Lee T. Todd Jr. for eight years, during which time he continued teaching as well. "Carole and I are pleased to be able to provide the Department of Communication with an endowed professorship, and we are delighted with the selection of Professor Nancy Harrington as the first recipient," he said. Emeritus Professor Phillip Palmgreen nominated Harrington, citing her research productivity and national prestige within the field of health communication. "Nancy is an outstanding research scholar and educator who has made extremely important contributions to the discipline, the university, the college and the department," he said. " She is one of the most widely respected and prolific scholars in the field of health communication and has contributed greatly to the department’s high national ranking in that important area of study." Harrington said she was very honored and delighted to be chosen. 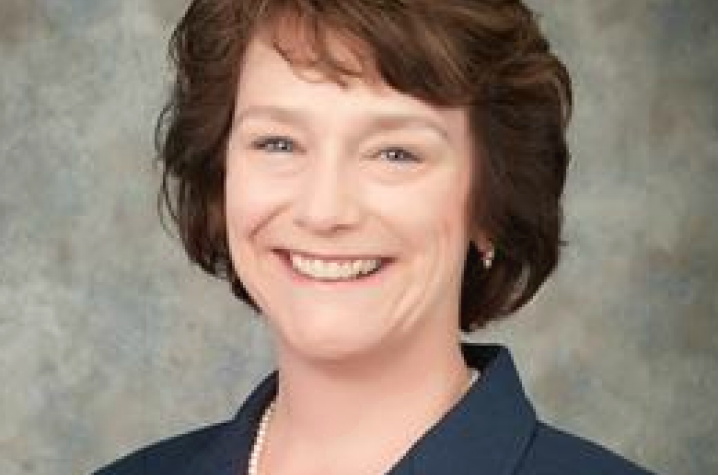 Harrington, who earned her doctorate from UK in 1992, is a professor in the Department of Communication and associate dean for research in the College of Communication and Information. She served as department chair from January 1999 through June 2011. She holds an academic appointment in the College of Public Health and is a faculty associate of the Multidisciplinary Center on Drug and Alcohol Research. Her research focuses on persuasive message design in a health behavior change context, particularly as it relates to risk behavior prevention/health promotion and interactive, tailored health communication using computer technology. She has been a principal investigator, co-investigator or principal evaluator on several NIH-funded and CDC-funded studies totaling nearly $8.5 million. She has published more than 40 journal articles and chapters and has co-edited a book on technology applications for health promotion and disease prevention.